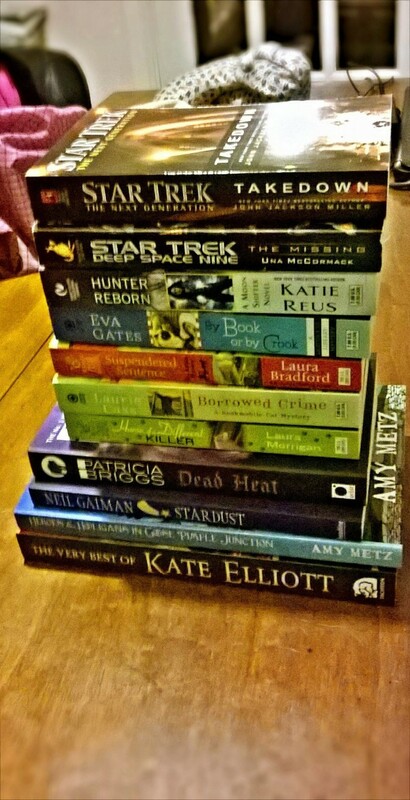 On my current TBR list + rereading Kat Richardson's Greywalker series. More books for my to be read list. 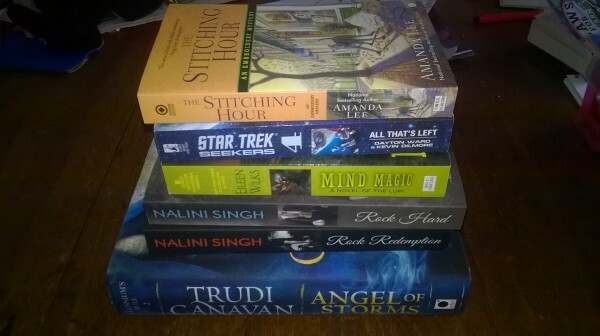 My current reading list, with my current read in the top right hand corner. The Kindle Book Review are giving away a $50 Amazon.com giftcard. 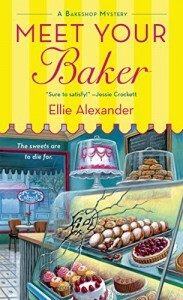 A quirky who dunnit by Eliie Alexander. The author kept you guessing right up until the end. I'm looking forward to learning more of Jules & Carlos's story. 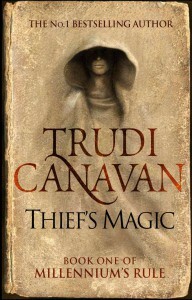 Thief's Magic is the first in a new trilogy by Trudi Canavan. I thoroughly enjoyed reading it & at the end was left wanting more. Pity I'll have to wait till September for the next instalment Angel of Storms.